A synthetic (polypropylene) substrate is born with a non-porous surface that repels water. YUPO® gives visual artists an amazingly beautiful canvas to work with. Its bright white, smooth finish gives artists the flexibility to work in several different mediums to achieve unique and creative results. Painting or drawing on the ultra-smooth surface of YUPO® is different than regular watercolor or drawing paper, and will require some adjustments by the artist. The surface may be wiped clean to restore the original white of the sheet, making it an excellent surface for beginners. YUPO® is also a very exciting substrate for more advanced and experimental artists. Its creative possibilities and suitable applications are infinite. 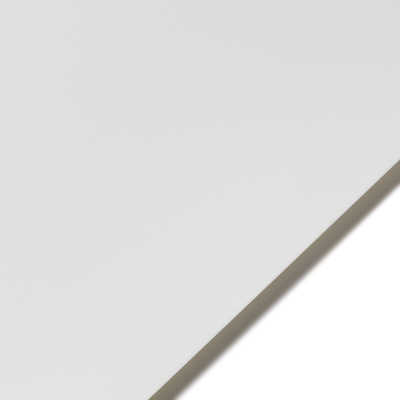 YUPO® - a slick, smooth, non-absorbent substrate that dramatically changes the way you paint, print or draw. Using this sheet, you can capture nuances, patterns, and shapes that were previously impossible to achieve on conventional watercolor and drawing papers. What makes it even more unique is its lifting quality. You may return to a painting when its done and redo specific areas over and over again. You can build up layers of paint like an oil painter working on a canvas, and then take them off to reveal the white of the sheet. Remember that water activates the paint, even paint put down months ago. Allow YUPO® to dry completely. Spray YUPO® with a matte-clear finishing spray to seal and protect it. Only use a sealant when your work is complete, as rework and touch-ups become difficult to do after sealing. YUPO® is a space age material made in a space age paper mill. The raw materials arrive by rail and are loaded into their respective silos and hoppers for their eventual transformation into pellets. These pellets are then fed into the patented heating and extruding equipment.